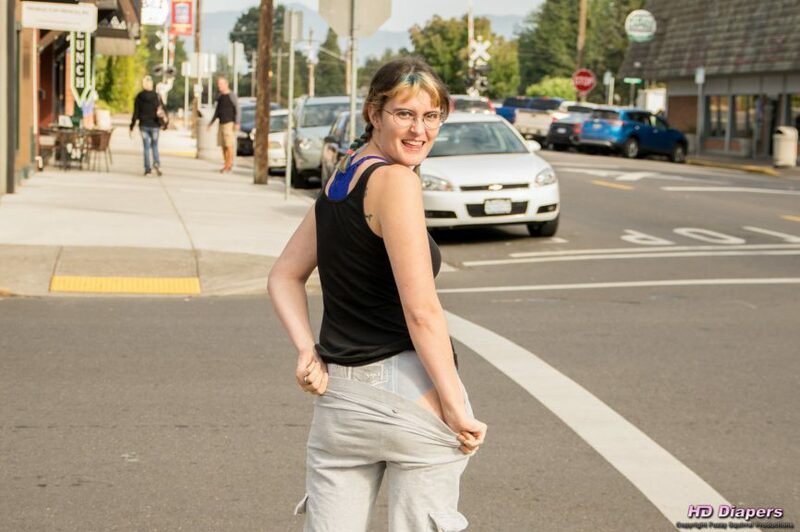 In these daring photos, Sosha shows off her pullup style diaper in public as cars and pedestrians pass by. This mammoth photo set features more than one hundred and sixty photographs. In these photos, we join Sosha as she stands on a busy street corner. 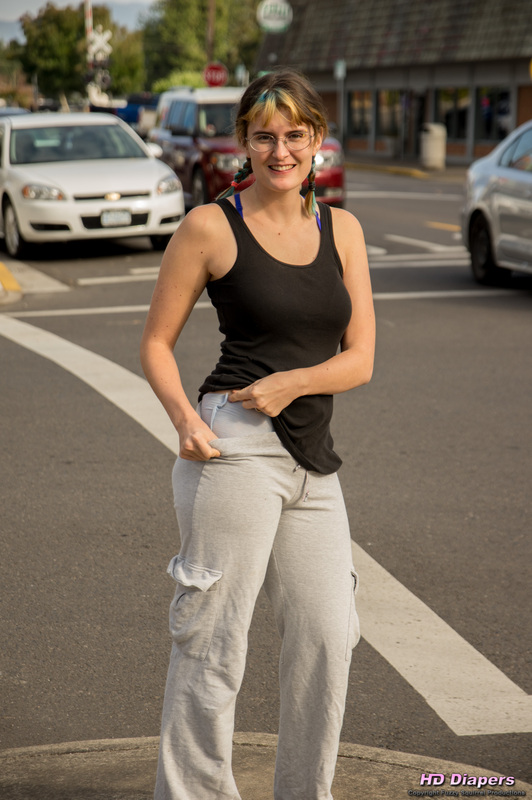 At first glimpse, she appears to be wearing sweat pants and a tank top, but then we start to catch a glimpse of something around her waist- It seems that instead of wearing regular underwear, she is wearing a diaper. Throwing caution to the wind, she flashes her diaper at the camera. She doesn’t care that she is in public and that everyone can see. 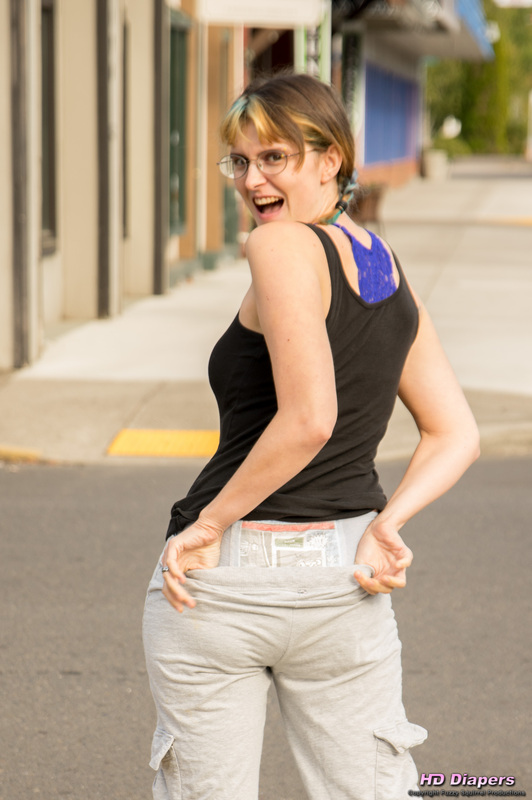 As cars and pedestrians go by, she continues to show off her diaper, giving us a good look at her pullup.